Light filled contemporary open floor plan w/stunning 2 story window walls facing both north and south. It is energy conserving. The south exposure provides sunlight in rooms in winter since sun is low on the horizon but in summer the sun is overhead and no sunlight comes in. Dramatic 2 story brick see-thru fireplace in living area with 2nd fireplace in master bdrm. Unique floor plan designed by Hoendervogt. Windows overlook private backyard with many perfectly manicured arborvitaes, paver brick patio and private hot tub. Three bedrooms and loft are upstairs and 4th bedroom on main level can also be used as an office/library. 4 full baths, finished lower level, cedar shake roof. 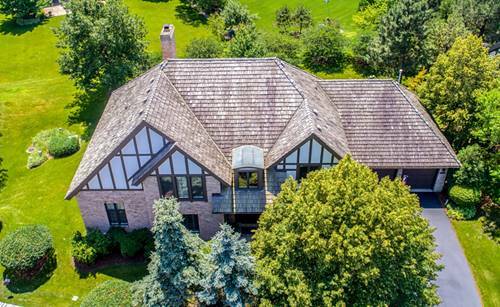 Impeccably maintained with pride of ownership in sought after Lyons Township HS district. Convenient to shopping,restaurants, health clubs, highways, playground, pond for fishing. 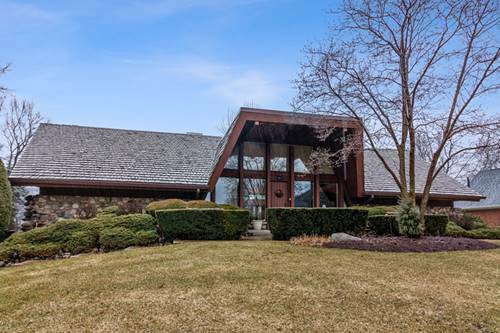 For more information about 128 Stirrup, Burr Ridge, IL 60527 contact Urban Real Estate.